Fruits and Vegetables — will now take centre stage. They are living foods, full of vibrant nutrients and the building blocks your body needs to make protein and glycogen. You can eat unlimited quantities of high nutrient, low calorie, dark green leafy vegetables like kale, swiss chard, watercress, spinach, rocket, mustard greens, collard greens, parsley, basil and celery. In fact the more you eat of these vegetables the healthier and slimmer you will be especially if they are raw. The next most important green vegetables will be broccoli, green beans, brussel sprouts, asparagus, pak choy, tatsoi and cucumber. Then explore the rainbow of colourful vegetables like butternut, bell peppers, cauliflower, aubergine, onions, garlic, mushrooms, tomatoes and carrots. Fruit: 1½ – 2½ cups. A minimum of 4 fruits a day. However you can also replace your grain allowance with fruit. Berries, plums, lemons, oranges, melons, kiwi fruit, peaches, bananas, grapes, pears, pineapple, apples, cherries, mangoes, apricots. Whole Grains — Explore a new territory with buckwheat, brown and wild rice, millet, oats, maize, quinoa and barley. Also include starchy vegetables in this category like sweet potatoes, corn and potatoes, butternut and carrots. Nuts and Seeds — consume at least 60 g nuts: walnuts, almonds, cashews, sunflower seeds, pumpkin seeds, sesame seeds. Plus 1 tablespoon of ground, soaked flax seed. 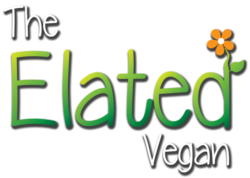 Dairy Substitutes and Faux Meats — are convenience foods and should not be used as a staple food. The temptation when first going vegan is to have them at every meal. Rather use them occasionally to supplement a diet high in fresh fruits, vegetables, legumes, nuts and seeds. Oils and Fats — There are many vegan fats that can be used in baking and cooking: coconut oil, olive oil, sesame oil, vegetable shortening, flax seed. Try wherever possible to source your essential fatty acids from whole foods like avocadoes, nuts, seeds and olives, rather than using extruded oils. 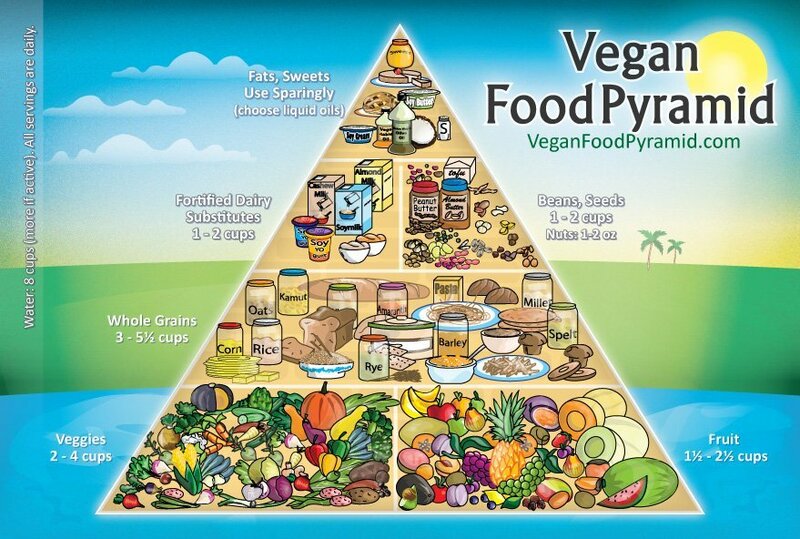 These recommendations are suitable for people on a standard vegan diet. Wherever possible avoid processed foods and choose organic, whole foods that have been freshly prepared for a higher nutritional value. Vary your diet and experiment with new fruits, vegetables, legumes and nuts that you haven’t tried before. You will discover that your taste buds come alive as your body adjusts to new exciting flavours and textures that are bursting with health. * Note: on average 1 cup = 250 g. For more accurate values visit Kitchen Conversions Calculators and Tables.